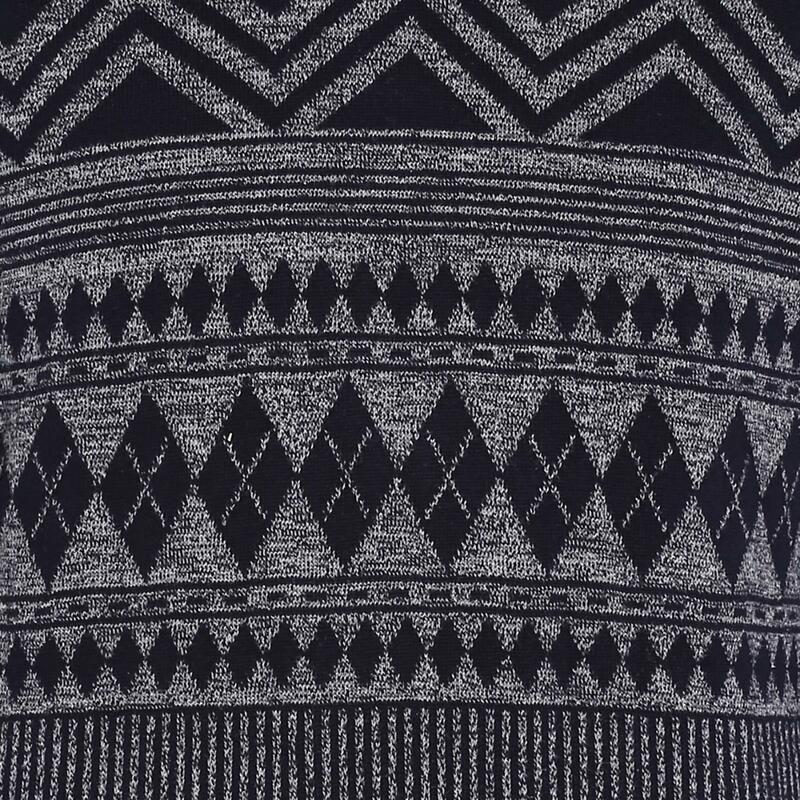 A beautiful self-textured pattern on the front makes this navy sweater for from Red Chief a visual delight. 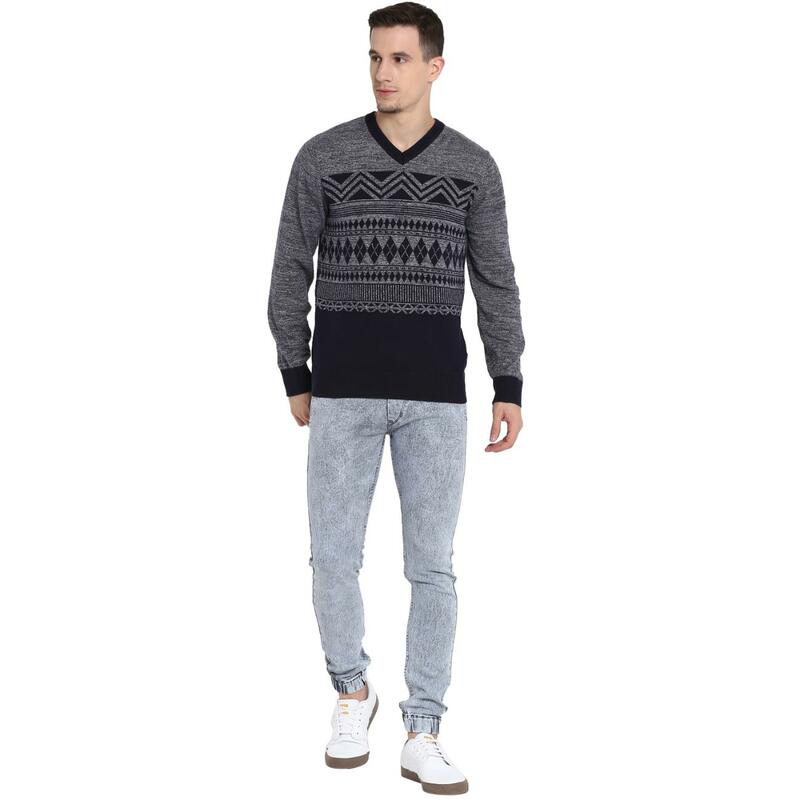 Besides the pattern, this sweater also has a round neck and full sleeves for ease of wearing. 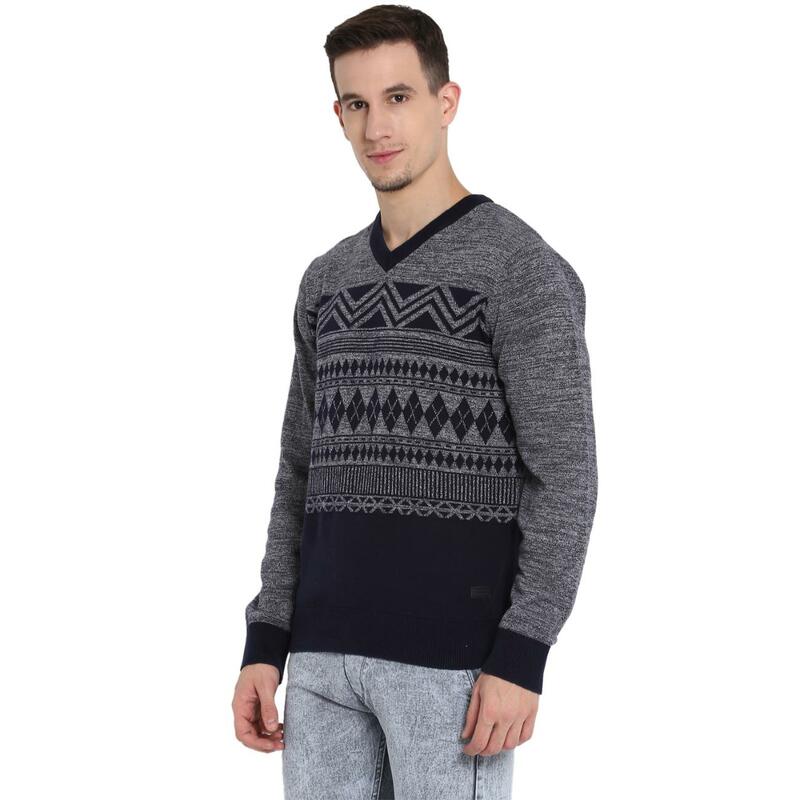 Moreover, this sweater is fashioned from 100% cotton to provided needed warmth and wearing comfort. 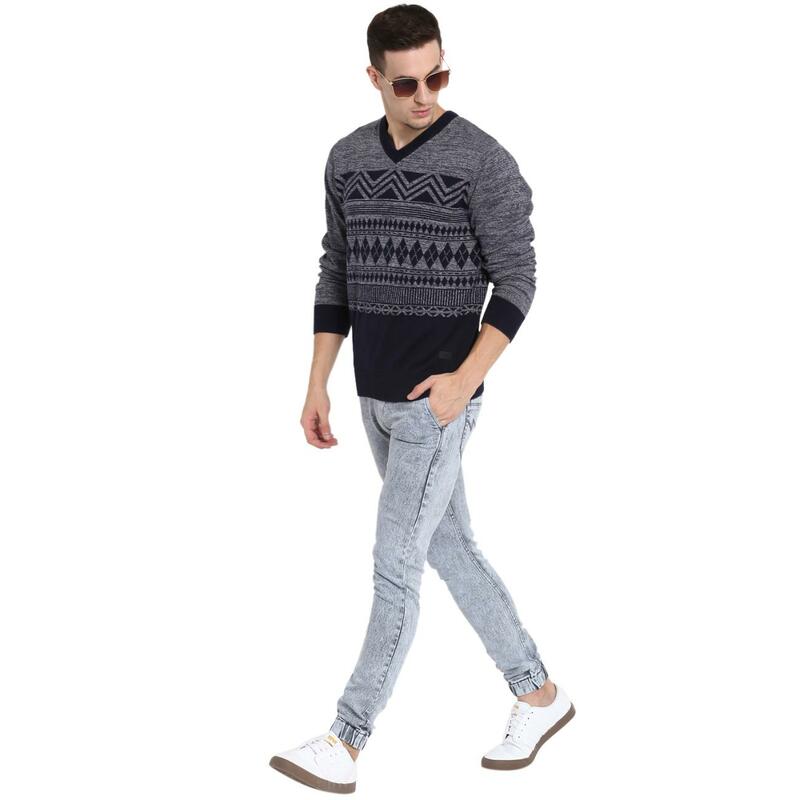 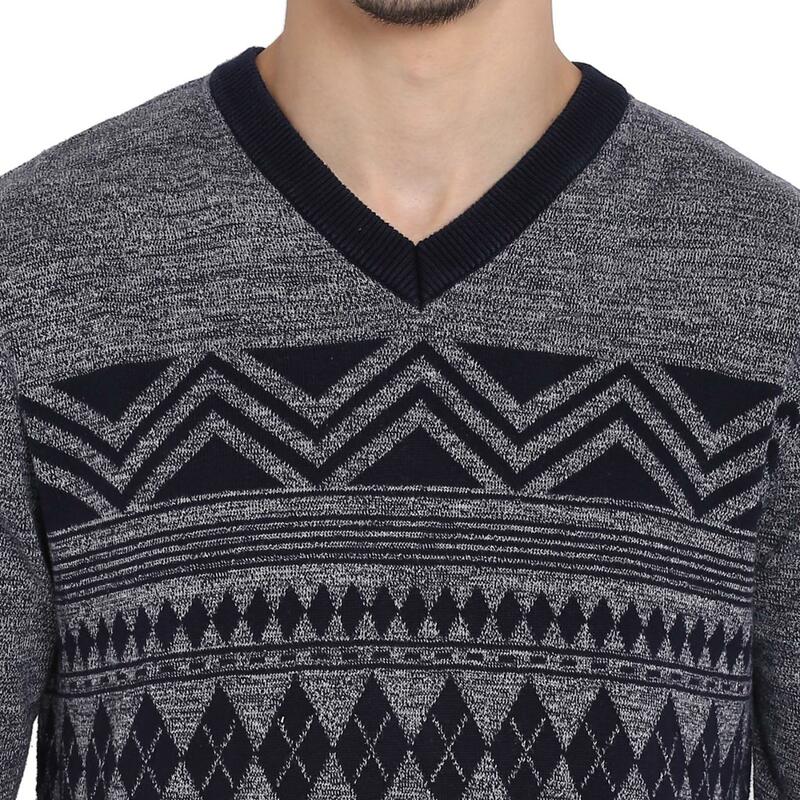 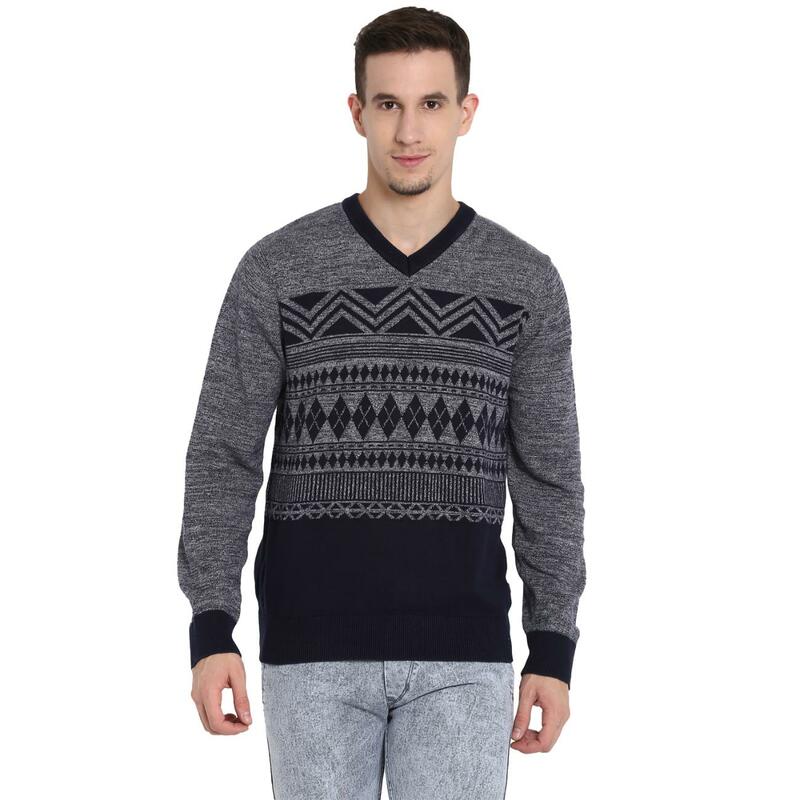 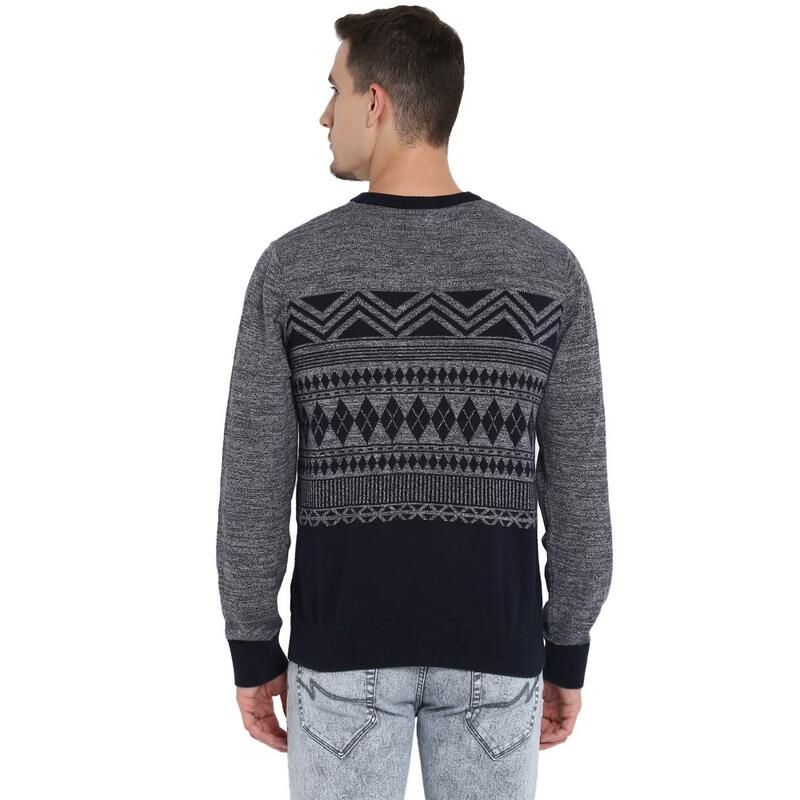 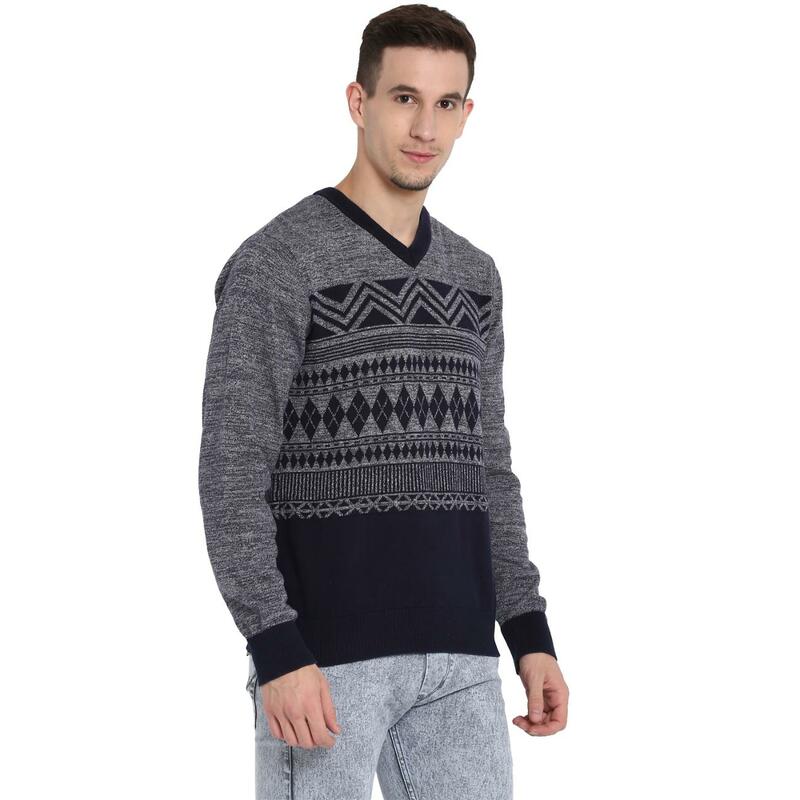 Pair this sweater with blue denims and casual shoes to look your best.